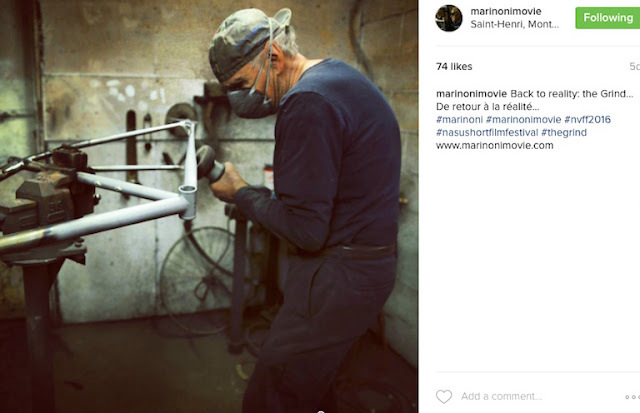 I am and have been following the bike maestro, Giuseppe Marinoni on instagram. I am fortunate to enjoy the merits of my 1987 Marinoni. 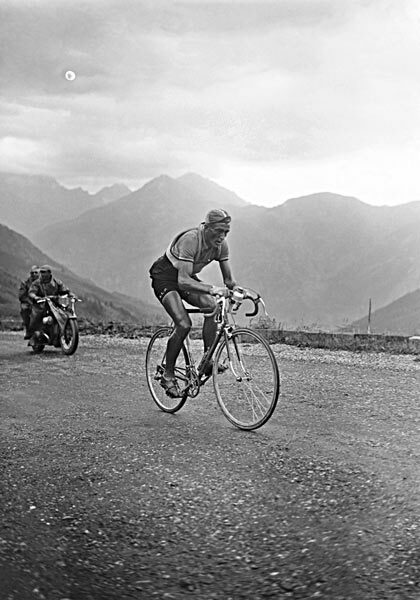 If you, dear reader, were one of the lucky few who has watched the quirky and uplifting character study of the cycling legend, Marinoni: The Fire in the Frame - then you have been blessed. 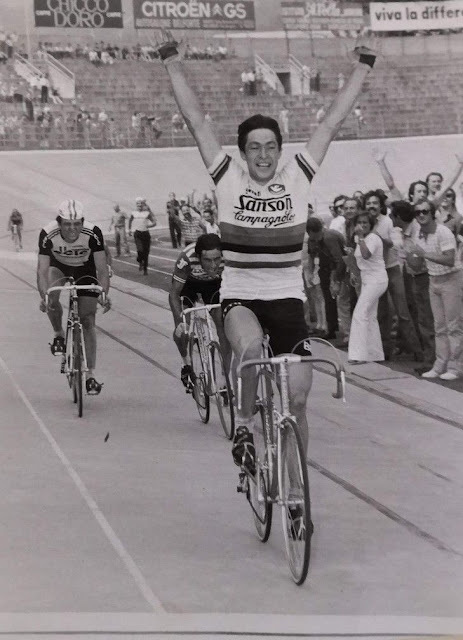 I'm very excited that he will challenge the hour record (at 80 years old) next August in Milton, Ontario and I plan on attending that. Meanwhile, thankfully, his current exploits are online and since returning from his Japan film screening he is back to what he does so well - build his coveted steel frames! I finally was able to see Fire in the Frame (via DVD from Amazon) here in SoCal. 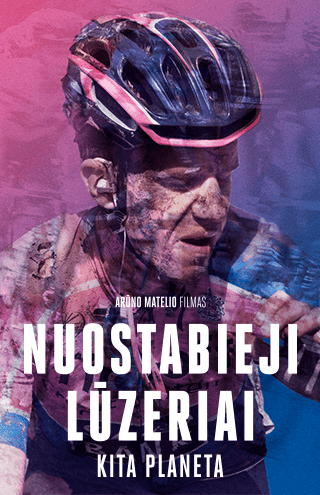 My wife rolled her eyes when she saw me put it in expecting a boring movie about bicycle frame building. Within minutes we were BOTH hooked. Mr. Marinoni is such an interesting person and the film was very well made and inspirational, especially since I am closing in on 70 years old myself. After it was over my wife said to me "Now I understand why you feel that your bike is so special." To have a bike handmade by one of the greatest craftsmen of his (our) generation is truly special, and it still handles better than any road bike I have ever ridden. I envy your ability to cheer him on in person for his next attempt! Richard, I finally got to watch Marinoni-Fire in the Frame via DVD purchased from Amazon. My wife rolled her eyes when I went to put it on, expecting a dull movie about frame building. Only minutes into it we were both hooked. At the end she said she now understands the importance and value of my Marinoni frame, and we both found Mr. Marinoni to be a lovable curmudgeon dedicated to cycling. He is truly an inspiration.